More and more foreigners start to learn Chinese. Writing in China dates back to the hieroglyphs that were used in the Shang Dynasty of 1700 – 1050 BC. Chinese literature is a vast subject that spans thousands of years. One of the interesting things about Chinese literature is that much of the serious literature was composed using a formal written language that is called Classical Chinese. The best literature of the Yuan Dynasty era and the four novels that are considered the greatest classics are important exceptions. However, even during the Qing Dynasty of two hundred years ago, most writers composed in a literary stream that extended back about 2,400 years. They studied very ancient writings in more or less the original written language. This large breadth of time with so many writers living in the various eras and countries makes Chinese literature complex. Chinese literary works include fiction, philosophical and religious works, poetry, and scientific writings. The dynastic eras frame the history of Chinese literature and are examined one by one. This written language was used by people of many different ethnic groups and countries during the Zhou, Qin and Han eras spanning 1050 BC to 220 AD. After the Han Dynasty, the written language evolved as the spoken languages changed, but most writers still based their compositions on Classical Chinese. However, this written language wasn’t the vernacular language even two thousand years ago. The empires and groups of kingdoms of all these eras were composed of people speaking many different native languages. If Europe had a literary history like China’s, it would be as if most European writers until the 20th century always tried to write in ancient Classical Greek that became a dead language more than two millennia ago. The first dynasty for which there is historical record and archaeological evidence is the Shang Dynasty. It was a small empire in northern central China. No documents from that country survive, but there are archaeological finds of hieroglyphic writing on bronze wares and oracle bones. The hieroglyphic writing system later evolved into ideographic and partly-phonetic Chinese characters. The Zhou Dynasty was contemporaneous with the Shang Dynasty, and then they conquered the Shang Dynasty. Their dynasty lasted for about 800 years, but for most of the time, their original territory was broken up into dozens of competing kingdoms, and these finally coalesced into several big and warring kingdoms by the end of the Zhou era. The great literary works of philosophy and religion that became the basis for Chinese religious and social belief stem from what is called the Spring and Autumn Period (770-476) and the Warring States Period (475-221). Taoism, Confucian literature, and other prominent religious and philosophical schools all emerged during these two periods. The Chinese call this simultaneous emergence of religions and philosophies the “One Hundred Schools of Thought.” Perhaps so many philosophers could write simultaneously because they lived in small kingdoms that supported them. In Chinese history, the dominant rulers generally squelch or discourage philosophical expression that contradict their own, so when there were several small powers, different schools of thought could survive in the land at the same time. 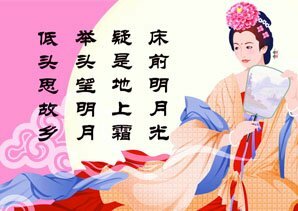 The major literary achievements of the Confucian Classics, early Taoist writings, and other important prose works originated in the late Spring and Autumn Period and the Warring States Period of the Zhou Dynasty era. These literary works deeply shaped Chinese philosophy and religion. Confucius is said to have edited a history of the Spring and Autumn Period called the Spring and Autumn Annals (春秋) that shapes Chinese thinking about its history. There were hundreds of philosophers and writers who wrote conflicting documents, and there was discussion and communication. 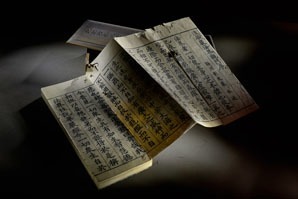 What we know of the literature of this period was mainly preserved after the Qin Dynasty’s book burning and from a few recent archeological finds of records. Probably most of the philosophical and religious works of that time were destroyed. If there were great fictional books created, they have been lost. So the main contributions of this period to Chinese literature were the prose works of the Confucian Classics and the Taoist writings, and preserved poems and songs. At the end of the Zhou Dynasty era that is called the Warring States Period, of the surviving few big states in the land, the Qin Dynasty became the most powerful. The Qin Dynasty had big armies and conquered the others. Once the Qin emperor had control, he wanted to keep it, and they squelched any opposition to his authority. In the conquered territories, there were teachers of many different doctrines and religions. A big philosophical and religious school then was called Mohism. They were particularly attacked by the Qin Dynasty, and little is known about it. 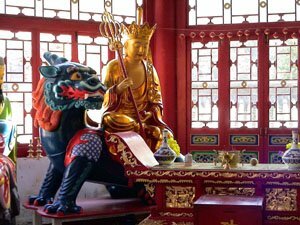 An early form of Buddhism was also established in China at that time, but their temples and literature were destroyed and even less is known about them. The emperor wanted to reduce the One Hundred Schools of Thought to one that he approved. He ordered the destruction of most books all over the empire. He even killed many Confucian philosophers and teachers. He allowed books on scientific subjects like medicine or agriculture to survive. So the “Book Burning and Burial of Scholars” was a literary disaster. On the other hand, the Qin Dynasty standardized the written Classical Language. It is said that a minister of the Qin emperor named Li Si introduced a writing system that later developed into modern Chinese writing. Standardization was meant to help control the society. 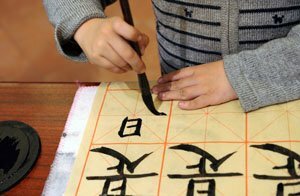 The standardized writing system also helped people all over the country to communicate more clearly. The Qin Emperor favored a philosophical school that was called Legalism (法家). This philosophy of course justified the strong control of the emperor and maintained that everyone should obey him. 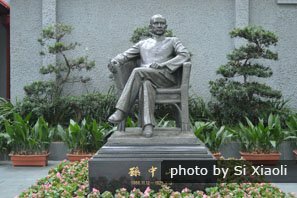 It is thought that Li Si taught that human nature was naturally selfish and that a strong emperor government with strict laws was needed for social order. Li Si’s writings on politics and law and his propagation of this school much influenced the political thinking in the Han Dynasty and later eras. Legalism texts and the standardization of writing were the Qin Dynasty era’s literary contributions. A former peasant leader overthrew the Qin Empire. The Han Dynasty era lasted for 400 years. At the beginning of the era, Confucianism was revived. Confucian texts were rewritten and republished. 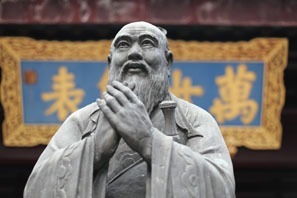 Confucianism was mixed with the Legalism philosophy of Li Si. The resulting ideology was the official ideology of the Han Dynasty and influenced political thinking afterwards. The era’s major contributions were historical texts and scientific works. Sima Qian wrote Historical Records that is a major history concerning the overall history of China from before the Shang Dynasty until the Han Dynasty. The book’s prose was considered a model for writers in succeeding dynastic eras. Another important historical text concerned the Han Dynasty itself. Some scientific texts were also thought to be important for their times, thought it doesn’t seem that the information was widely known or well known afterwards. The Han Dynasty era was one of the two main hotspot eras for scientific and technical advance. But printing wasn’t available for wide publication of the information. During the Eastern Han Dynasty towards the end of the Han era, the influence of the philosophy of the Confucian Classics that hindered scientific progress was waning. So people were more free to pursue invention. Cai Lun (50–121) of the imperial court is said to be the first person in the world to create writing paper, and this was important for written communication at the end of the empire. Finery forges were used in steel making. Two or three mathematical texts showing advanced mathematics for the times were written. The Han Empire disintegrated into warring kingdoms similar to what happened during the Warring States Period before the Qin Dynasty. For several hundred years, dynasties and kingdoms rose and fell in various places, and the next big and long-lasting dynastic empire is called the Tang Dynasty. The Tang Dynasty had a big empire that benefited from trade with the west along the Silk Road, battled with the Tibetan Empire, and experienced the growing influence of organized Buddhist religions. 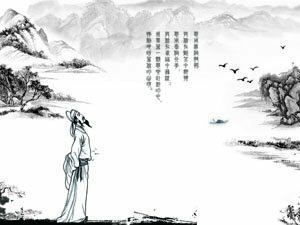 This era’s main contribution to Chinese literature was in the poetry of Dufu, Li Bai and many other poets. 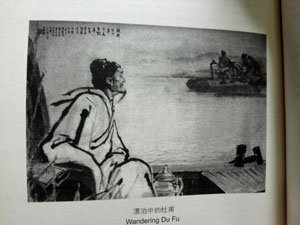 Dufu and Li Bai are often thought of as China’s greatest poets. Li Bai (701–762) was one of the greatest romantic poets of ancient China. He wrote at least a thousand poems on a variety of subjects from political matters to natural scenery. Du Fu (712-770 AD) also wrote more than a thousand poems. He is thought of as one of the greatest realist poets of China. His poems reflect the hard realities of war, dying people living next to rich rulers, and primitive rural life. He was an official in the Tang capital of Chang An, and he was captured when the capital was attacked. He took refuge in Chengdu that is a city in Sichuan Province. It is thought that he lived in a simple hut where he wrote many of his best realist poems. Perhaps more than 1,400 of his poems survive, and his poetry is still read and appreciated by modern Chinese people. The next dynasty is called the Song Dynasty. It was weaker than the Tang Dynasty, but the imperial government officials made remarkable scientific and technical advances. Military technology greatly advanced. They traded little with the west due to the presence of warring Muslim states on the old trade routes. There wasn’t territorial expansion, but the empire was continuously attacked by nomadic tribes and countries around them. Their northern territory was invaded, and they were forced to move their capital to southern China. So the era is divided into two eras called the Northern Song (960-1127) and Southern Song (1127-1279) eras. One of the era’s technological accomplishments was the invention of movable type about the turn of 2nd millennia during the Northern Song period. 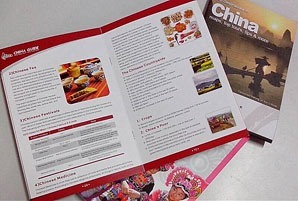 This helped to spread knowledge since printed material could be published more quickly and cheaply. Travel literature in which authors wrote about their trips and about various destinations became popular perhaps because the texts could be cheaply bought. The Confucian Classics were codified and used as test material for the entrance examination into the elite bureaucracy, advanced scientific texts and atlases were published, and important poems were written. The Confucian Classics were important in China’s history because from the Song Dynasty onwards, they were the texts people needed to know in order to pass an examination for the bureaucracy of China. 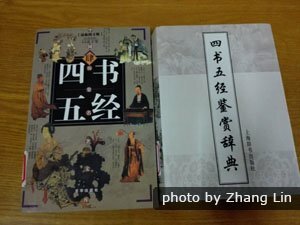 These Confucian Classics were the Five Classics that were thought to have been penned by Confucius and the Four Books that were thought to contain Confucius-related material but were compiled during the Southern Song era. The Four Books and Five Classics (四書五經) were basically memorized by those who did the best on the exams. In this way, Confucianism, as codified during the Song era, became the dominant political philosophy of the several empires until modern times. Since the bureaucrats all studied the same works on social behavior and philosophy, this promoted unity and the normalization of behavior throughout each empire and during dynastic changes. The scholar-bureaucrats had a common base of understanding, and they passed on these ideas to the people under them. Those who passed the difficult exams were highly respected even if they didn’t receive a ruling post. High education in this system was thought to produce nobility. The Five Classics and Four Books were written in the written Classical Language. The Five Classics include: The Book of Changes, The Classic of Poetry, The Record of Rites that was a recreation of the original Classic of Rites of Confucius that was lost in the Qin book purge, The Classic of History, and The Spring and Autumn Annals that was mainly a historical record of Confucius&apos; native state of Lu. The Four Books include: The Analects of Confucius that is a book of pithy sayings attributed to Confucius and recorded by his disciples; Mencius that is a collection of political dialogues attributed to Mencius; The Doctrine of the Mean; and The Great Learning that is a book about education, self-cultivation and the Dao. For foreigners who want a taste of this Confucian philosophy, reading the Analects of Confucius is a good introduction since the statements are usually simple and like common sense. Another period of scientific progress and technical invention was the Song era. Song technicians seemed to have made a lot of advancements in mechanical engineering. They made advanced contraptions out of gears, pulleys and wheels. These were used to make big clocks, a mechanical odometer on animal drawn carts that marked land distance by making noise after traveling a certain distance, and other advanced instruments. The Song technicians also invented many uses gunpowder including rockets, explosives and big guns. The imperial court officials did remarkable scientific research in many areas of mechanics and science. Shen Kuo (1031–1095) and Su Song (1020–1101) both wrote scientific treatises about their research and about different fields. Shen is said to have discovered the concepts of true north and magnetic declination towards the North Pole. He also described the magnetic needle compass. If Chinese sailors knew about this work, they could have sailed long distances more accurately. This knowledge would predate European discovery. He did advanced astronomical research for his time. Su Song wrote a treatise called the Bencao Tujing with information on medicine, botany and zoology. He also was the author of a large celestial atlas of five different star maps, and he also made land atlases. Su Song was famous for his hydraulic-powered astronomical clock tower. Su&apos;s clock tower is said to have had an endless power-transmitting chain drive that he described in a text on clock design and astronomy that was published in 1092. If this is so, it may be the first time such a device was used in the world. When the Southern Song Empire was conquered by the Mongols, these inventions and the astronomical knowledge may have been forgotten. The Mongols were nomadic people who herded cattle north of the Tang Empire and wandered over a large area fighting on horseback. They believed that they might be able to conquer the world. They easily conquered Persia far to the west. It was a big empire with high technology, a big population and a big army. Then they decided to try to conquer all the countries around them. They attacked the Tang Dynasty, the Dali Kingdom in Yunnan, and much of Asia, and they formed the biggest empire in the history of the earth until then. They conquered Russia, a part of eastern Europe and a part of the Middle East. In China, the Mongols established the very rich Yuan Dynasty. 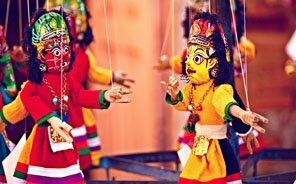 In their camps, the Mongols were entertained by shadow puppet plays in which a lamp cast the shadows of little figurines and puppets on a screen or sheet. In the Yuan Dynasty, puppet drama continued to entertain the rich dynastic courts in vernacular language. Dramatic operatic theaters with human actors speaking in vernacular language was a favorite form of entertainment as well, and some of China’s best dramatic scripts were written then. Also two of the four novels that are generally considered China’s best literary classics were written in vernacular language then. So though the Yuan Empire wasn’t ruled by Chinese, it was an era of some historically renowned dramatic playwrights and novelists who wrote in vernacular language. It is thought that the operatic style of the shadow puppet dramas that entertained the courts influenced the development of the operatic theater style of the Yuan Dynasty. The Yuan rulers were fabulously wealthy according to historical accounts. They had a vast empire and control of trade in Eurasia. For the royal courts or the rich people, refined music, sound effects and talented singers were employed for shadow plays. The Yuan “Zaju” style of opera was similar to their shadow plays. Perhaps the playwrights adopted the plots and the features. There were exciting plots, elaborate costumes, refined music and singing, action, and dance that the Mongols enjoyed. The music of the Zaju operas was called Yuan Qu (元曲 Yuan Music). The language used wasn’t the Classical Language but the vernacular language, so that the theater might be enjoyed by everyone. After the Yuan Dynasty, the operatic style developed into the Painted Faces style of Chinese opera that was popular until modern times. Guan Hanqing is regarded as one of the best playwrights of the times. He wrote Midsummer Snow that was one of the most popular drama pieces. It is a tragedy about an unjustly accused woman who received justice after her death. The Romance of the Western Chamber was written by Wang Shifu. It is considered one of the best romantic dramas ever written in China. Novels were another outstanding achievement of the Yuan era. The novelists influenced the future development of the genre. Two novels are still widely read now and are generally considered two of the four greatest novels in Chinese literature. These are Water Margin and The Romance of the Three Kingdoms. The Romance of the Three Kingdoms was written in vernacular language by Luo Guan Zhong. It is historical fiction about the end of the Han Dynasty and the Three Kingdoms Period. The Three Kingdoms Period was between the Han and Tang eras. Special emphasis is laid on the two famous historical rulers Liu Bei and Cao Cao who were antagonists. It is a long novel with 800,000 words. Water Margin is about the lives and ideals of a group of characters who fought against the corrupt Northern Song Dynasty that the Mongols conquered. It is said it was written in vernacular language by Shi Nai An, but scholars debate about the authorship. Many scholars think that the first 70 chapters were written by Shi Nai An and that the last 30 chapters were written by Luo Guan Zhong who was also the author of The Romance of the Three Kingdoms. The Chinese rebelled against the Mongols, and the Ming Dynasty era began about 1368. The Mongols and the Ming government still sometimes fought. Because of this and the presence of Muslim countries in between, trade with the west was reduced to the pre-Yuan level. The Ming initially were interested in exploration, and Muslims whose ancestors arrived during the Yuan Dynasty and who were familiar with seagoing trade were employed to make long voyages to the Indian Ocean, the Middle East and perhaps Africa. Then they became isolationist. It is interesting that a book that is one of the four great classics called Journey to the West about a monk going to India was written during this time of isolation. Maybe the thought of travel to the lands in the west was appealing then. Novels were the era’s main contribution. The Journey to the West is based on the historical journey of a Buddhist to India during the Tang era to learn Buddhist teachings and bring back scriptures and information. In 1629, Xuanzang (602 - 664) left Chang&apos;an in 629 and arrived back in Chang&apos;an in 646. Mythical tales about this journey including the character of an intelligent monkey began to be circulated long before the book was written. The author drew on known tales. Journey to the West is thought to have been published anonymously by Wu Cheng&apos;en in the 16th century though scholars have doubt about the authorship. The trend in that era was for people to write in Classical Chinese and imitate the literature of the Tang Dynasty and Han Dynasty. However, this book was written in the vernacular. Perhaps because there was a lack of accurate geographical knowledge available to the author, much of the geographical landscape of the story is inaccurate. However, the “Flaming Mountains” that are near Turpan in Xinjiang are mentioned. Perhaps the author meant to poke fun at Chinese religion because a monkey is said to have defeated a whole army led by Taoist gods, and only the Buddha’s intervention stopped the monkey. The book describes India as a land of gross sin and immorality, and the monk was commissioned by Buddha to help India. The characters in the book are well known to Chinese children, and they often appear in martial arts movies and cartoons. The Manchus invaded the Ming Empire from the north and established the last dynasty called the Qing Dynasty. The Manchus were not Chinese, but they retained the Neo-Confucian governing system of the Song and Ming eras. The Qing Dynasty came under increasing attack from both internal rebellions and foreign countries. In the 19th century, foreign literature and the West became better known. In the middle of this era, the last of China’s four great classic novels was written called Dream of the Red Chamber (红楼梦); and near the end of the era, modernistic literature developed. The Dream of the Red Chamber also has an uncertain authorship. Like the other three great classic novels, it was written in a vernacular language – the Mandarin language that was the language of the Qing capital. It is probably mostly composed by Cao Xueqin (about 1715-1763) in the middle 1700s, and the first printing of the book was in the late 1700s. It is thought that Cao did not live to see the first printing. It is thought that another person or other people contributed the ending of the story since the original ending of the story was lost. The book has a lot of textual problems, and there are different versions. In a preface to a printed version in 1792, two editors claimed to have put together an ending based on the author&apos;s working manuscripts that they had bought from a street vendor. At the end of the Qing Dynasty era, the dynastic rulers came under increasing pressure both from foreign attacks and internal rebellions. Educated Chinese had easier access to foreign literature, and they were more influenced by Western culture. Students started to travel abroad to study, and schools built by missionaries educated tens of thousands of students. There was a general sense of crisis, and intellectuals started translating foreign works on science, politics, and literature. These were popular, and the culture started to change. Some writers produced fiction more like Western fiction. Sun Yat-sen led a revolution that marked the end of Chinese dynasties in which a clan rules an empire. Of course, the big change of Chinese society that happened with the change of government led to a change in literature. It became westernized, and the Classical Language wasn’t used. The national government wanted women to have more of an equal status in society, and women writers and scholars were taken more seriously. There was a lot of politically oriented literature printed. Scholars had access to foreign literature, and many students studied abroad. Until about 1923, there was a New Culture Movement. Writers generally wanted to lead the way in transforming China into a modern industrialized country and replacing Confucian life-style with a westernized one. Under the national government, there was some freedom of expression, and lots of views and styles of literature were popular. China came under attack from Japan. After the Communist victory, only literature approved by the government was allowed.